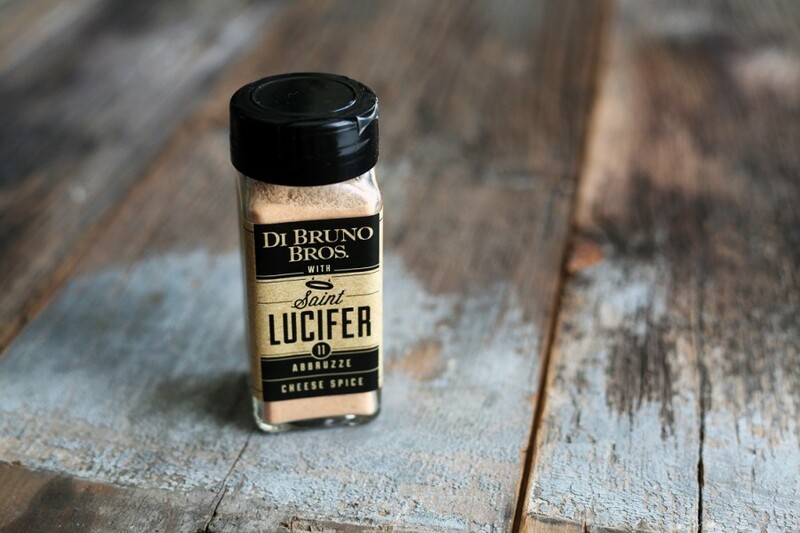 Special Collab Alert — St. Lucifer Spice + Di Bruno Bros. Abbruzze Cheese Spice | Blog | Di Bruno Bros.
Posted April 11, 2017 by Di Bruno Bros. Since we are also fans of heat and flavor, we worked with St. Lucifer Spice to create our first ever co-brand—Abbruzze Cheese Spice. Garlic and chiles and spice, so nice! Abbruzze Cheese Spread is our signature item, having originally been hand-crafted at our bustling Italian Market storefront decades ago. 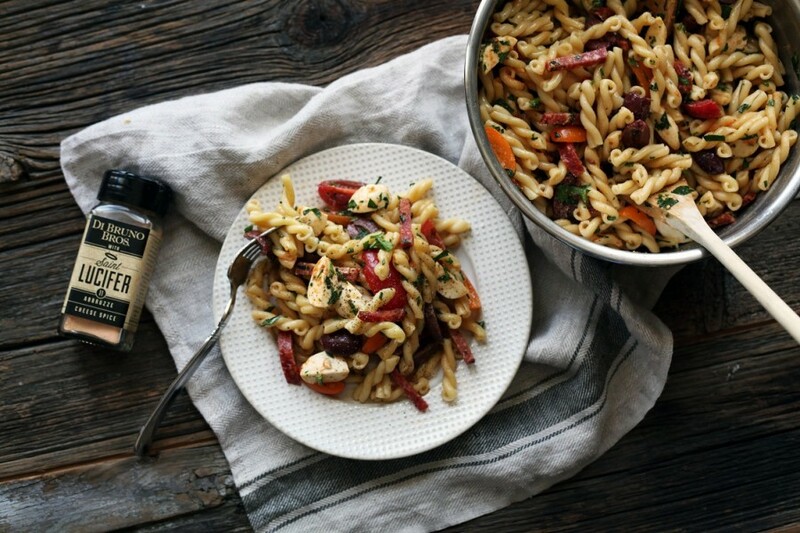 With a spice mix intended to honor the spicy foods of our founders’ homeland, Abruzzo, we’ve now made it possible to transform any food into your favorite food. 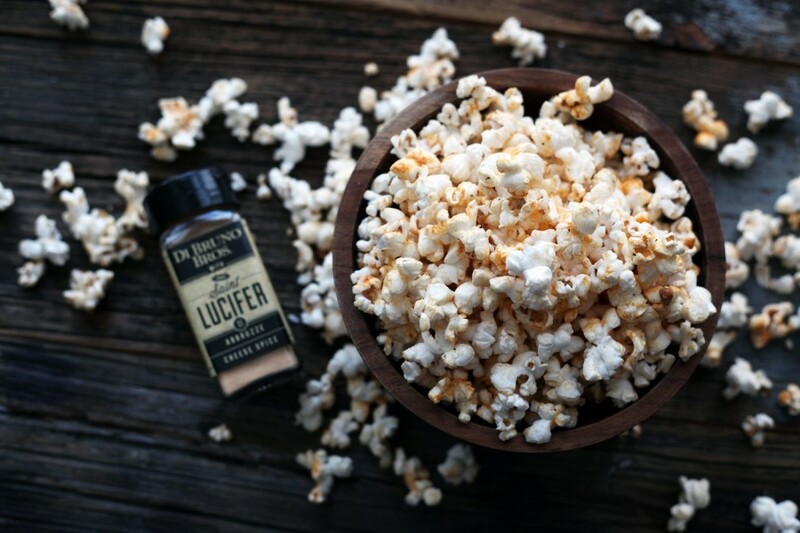 Building on our cheese spread’s popularity, we collaborated with St. Lucifer, who transformed it into powder form, based on their #11 Habanero Spice, but substituting in our red pepper flakes. It is undeniably delicious and incredibly versatile. Our beloved Abbruzze cheese spread, embodied in a delicious seasoning. Sprinkle your favorite Di Bruno flavor on just about anything! We’re hard pressed to think of something that you can’t use this in. For snacks, think popcorn, potato chips, or nut mixes. For adding to starches, think mac & cheese or baked potatoes. Friendly even to meet, try this spice mix in cutlets, wings, burgers, pork chops, and meatballs. In the veggie world, try Brussels sprouts, broccoli or salads. And don’t forget dips! Spinach Artichoke, Pimento Cheese, Salsa con Queso…the list can go on and on and on. Here are a few recipe ideas that we tinkered around with. Everyone has a preference on how they like to prepare chicken wings, so we’ll keep this simple. You can use prepared wings or bake your own. Whatever your method, toss the wings in olive oil and bake in a single layer at 400º F for 45 minutes until crispy. We recommend checking on them after about 30 minutes to see if they’re browning to your liking. 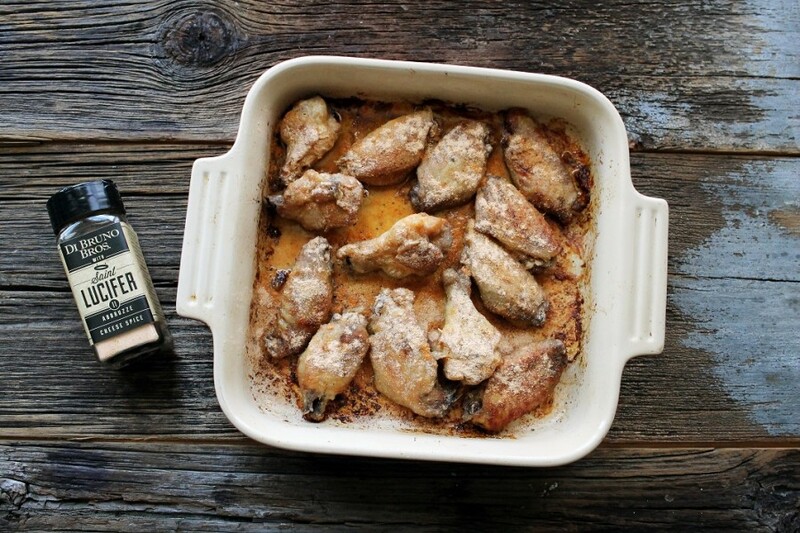 After they’re baked, apply the Abbruzze spice and toss the wings to evenly coat. Add as much spice as your mouth can handle, and always feel free to add more along the way. Not all recipes have to be complicated, or even involve an oven. As big fans of popcorn, and spice, here’s the easiest idea for snack food around. You can use bagged or air-popped kernels. Just generously drizzle your favorite popcorn with olive oil. Toss, repeat. Sprinkle spice, toss, repeat. Eat. Repeat. 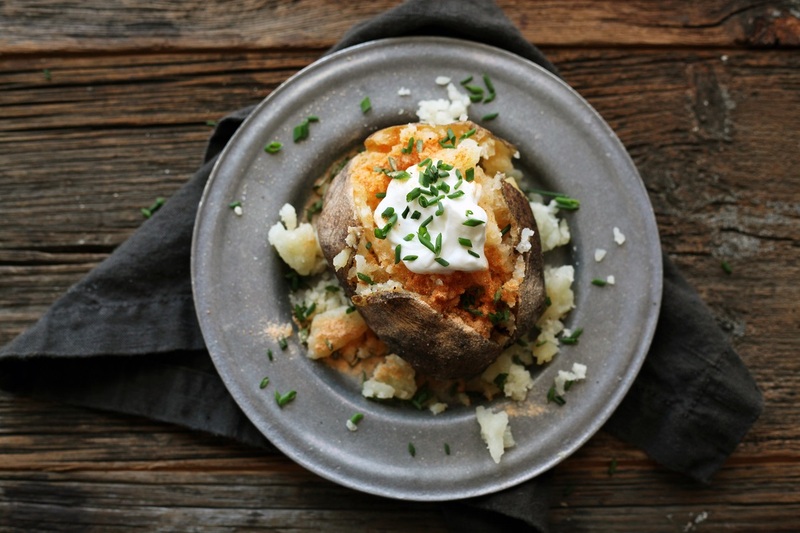 Make a baked potato—regular or sweet potato—as you normally would. Open a hot baked potato, add some butter and sprinkle in the spice. Use a fork to fluff up the potato, add more spice! Top with sour cream and chives. How will you be using your Abbruzze spice? Let us know in the comments!